At the Frankfurt Motor Show 2015, Volkswagen unveiled its second generation for Tiguan. Yes today we’ll be here talking about the Volkswagen Tiguan 2016 which is all set to rumble the compact crossover market. Adorned with better features and smarter looks, it seems like the engineers and designers this time didn’t leave any stone unturned while preparing for this second generation model. 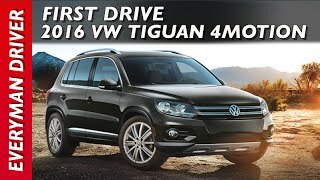 Let us have a look at the review of Volkswagen Tiguan 2016 to know in detail about the model. The interior of Volkswagen Tiguan 2016 is undoubtedly a treat for your eyes. High-end materials have been used in making the interior which gives a new layout giving the crossover more stylish look. The analogue gauges are fitted with lower trim levels and also present is a five-inch infotainment system. Due to a large body size the interior offers lot of space for the individual and the cargo, giving a comfortable ride. The dashboard has been designed featuring dual tone layout, while on one side the top portrays dark grey the bottom features lighter version matching with the seat and the door panels. The three-spoke steering wheel carries the traditional utility controls with it while the gear knob has a metallic touch over it. 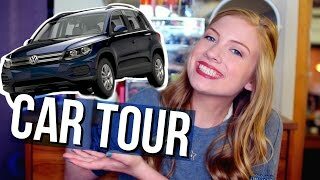 In all the interior of Volkswagen Tiguan 2016 looks, neat, spacious and has sufficient technology to offer you ample amount of infotainment and entertainment. 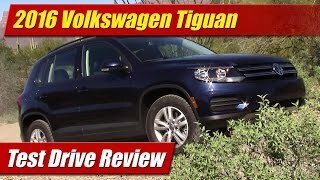 The exterior of Volkswagen Tiguan 2016 is bit higher in class in comparison to its predecessors. The model gets taller, wider and longer and thus features a better stance. Starting with the front fascia you’ll notice the traditional grille housed amidst the slim elongated headlights while the lower section has a massive air vent in the center of the bumper and fog lights at both its ends. Moving towards the rear end you’ll notice the newly designed wheel spokes and sharp creases running through the doors till the wheel arches and giving sportier touch to the model. At the rear end of the model the rear window gets a spoiler over it while the bottom section is almost the same as that we saw in the predecessors. In all the exterior details of Volkswagen Tiguan 2016 portray a sportier crossover with luxurious looks. 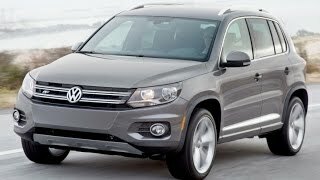 Though the details of powertrain of Volkswagen Tiguan 2016 are not completely shared but company do shared some figures. The details so shared includes the total number of engines and the power options that buyer will get. Model will come with total of eight engine options and each of them is Euro-6 compliant featuring turbocharging, direct fuel injection and a start stop system. Talking about the power, here also buyers have good options that range from 123 hp to 216 hp. 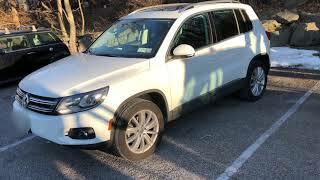 The performance figures of Volkswagen Tiguan 2016 are not yet shared but we assure to present them to you as soon as company will talk about them.